Woody Vašulka is firmly tied to Brno. He was born in Brno and spent his childhood here. His experiences from this period were, in his words, crucial for his creative path. Although he has lived abroad since 1965, mostly in the States, he has been returning to Brno regularly all his life. 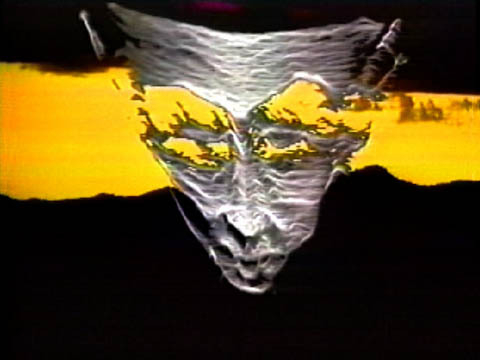 The Vašulkas are from the first generation of artists experimenting with video. They are authors of structural as well as documentary video images and inventors of tools for working with electronic images and sound. Their work includes video tapes (analogue and digital), video-performance and spatial installations that use audiovisual, optical and robotic components. 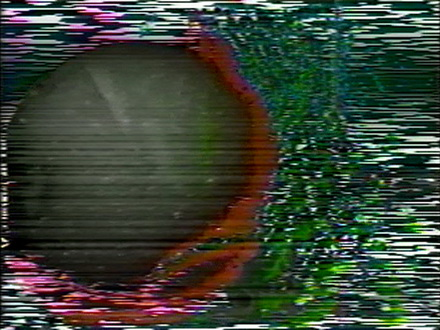 Through artistic creation, they explore analogue and digital processes generating electronic images, sounds and spaces. They see new technologies as a means for a new type of creativity and knowledge. They describe their work as a dialogue with tools. Almost all early works by Vašulka were created using audio synthesizers and oscillators. Another tool was the colorector, developed in collaboration with Eric Siegel. George Brown has built a Multikeyer, a keychain for working with layers of images, and the first digital tool - the programmer - to store and play the sequence of operations. In 1974 they acquired the Rut / Etra Scan Processor, a tool for deflecting image lines. 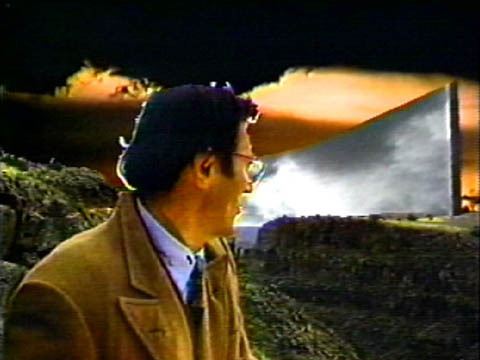 In the second half of the seventies, Vašulka discovered the world of digital video. Switching to digital images meant having to become familiar with the new code dictionary. For the processing of coded images in real time, they built a Digital Image Articulator in collaboration with Jeffrey Schier. 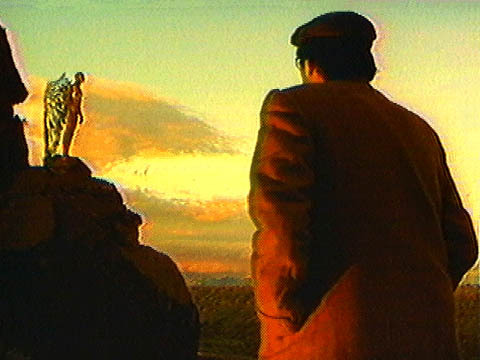 At the end of the seventies, Woody Vašulka created a couple of narrative videos The Commission (1983) and Art of Memory (1987). He then began to work on his life-work - a series of tables called The Brotherhood. In these installations, he combined 3D models with projection in physical, scenic space and used hybrid optical, mechanical, robotic and pneumatic systems, finding the components for these installations at military landfills, often near Los Alamos. Woody Vašulka was born on 20th January 1937 in Brno-Slatina as Bohuslav Petr Vašulka. From 1954 to 1958 he studied hydraulic mechanics and metallurgy at the Secondary Industrial School of Engineering in Brno. During studies, he played trumpet in a jazz band and began to call himself Woody after his role model, American jazz saxophonist Woody Herman. In 1965 - he graduated from the Film and Television Faculty of the Academy of Performing Arts in Prague. In the same year, he married Steina and they went to the US to start their joint artistic career in the field of video and electronic media. Since the 1990s, Vašulka has started rebuilding his ties with Brno and Czech media artists. At the Faculty of Fine Arts at the Technical University in Brno (FaVU VUT) he helped establish the first multimedia art laboratory in the Czech Republic, which he subsequently led. 1994 - At the Hi-Tech / Art show in Brno, the world premiere of the Vašulkas‘ installation Table 3: Friendly Fire from the Brotherhood series took place. 1996 - As part of the Hi-Tech / Art show, the retrospective exhibition of Steina Vašulka, called Allvision prepared by Tomáš Ruller, took place at the Brno House of Arts .In 1997 part of the presented works were also exhibited at the National Gallery in Prague thanks to the curator Miloš Vojtěchovský. 2004 - Vašulka received an honorary doctorate from the Brno University of Technology. 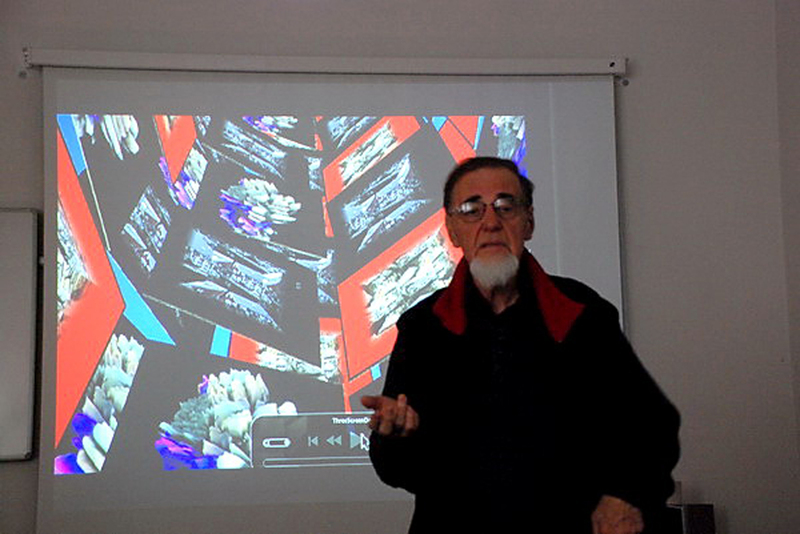 2010 - At the lecture organized by the Performance Studio of the Fauclty of Fine Arts of the Brno University of Technology, Vašulka presented his project of the virtual museum in the Second Life environment. 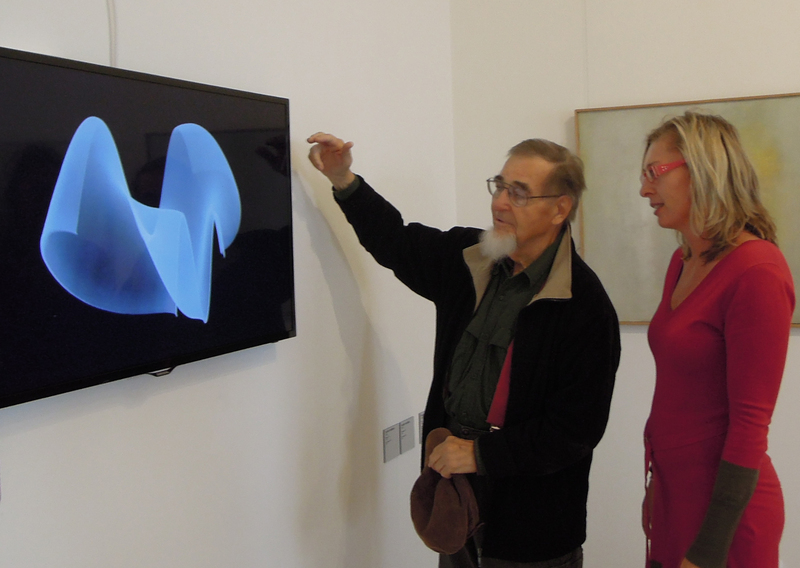 2011 - Vašulka delivered a series of lectures called The Vašulkas: Five decades in a video at the Brno House of Arts. In the same year, Vašulka received an honorary doctorate from the Academy of Performing Arts in Prague. 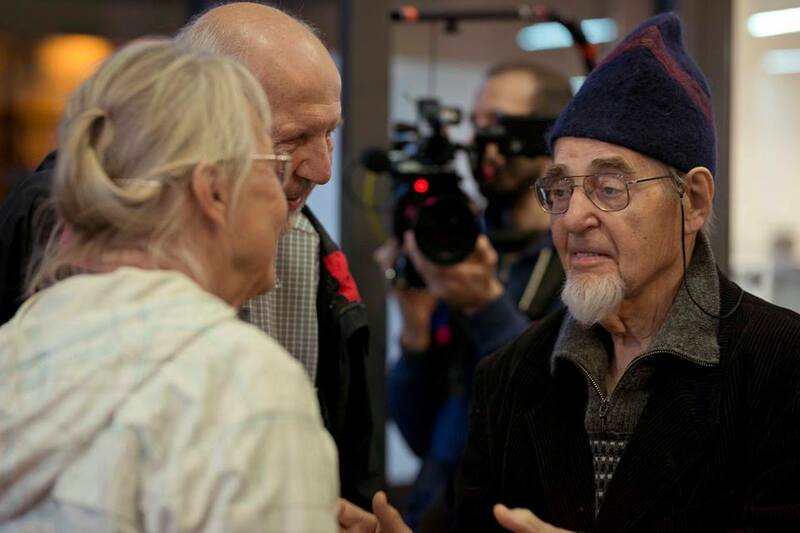 2015 - Woody Vašulka was awarded the Brno City Prize for his lifetime work. 2018 - The opening of Vašulka Kitchen Brno in the Brno House of Art Brno. Born in Iceland and trained as a violinist, Steinunn Briem Bjarnadottir (Steina) is a major figure in the field of electronic and video art. She received a scholarship in 1959 to study at the Prague Conservatory, where she met Woody Vasulka. They married in 1964 and moved to New York in 1965, where she worked as a freelance musician. She started using video in 1969, and embraced it wholeheartedly when she discovered that, with it, she could control the movement of time. It was the glorious age of the Portapak (used by a number of conceptual artists such as Nam June Paik, Gillette, Nauman, Serra) and of feedback experiments. 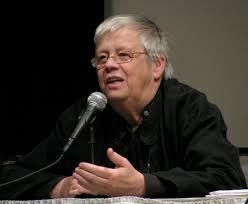 In 1971, along with Woody Vasulka and Andres Mannik, she founded The Kitchen, a performance space devoted to electronic media. Her collaborative work with Woody in that period was remarkable for its interworking of audio and video signals: by attaching the Portapak to a synthesizer, they created video images from the audio signal and sound with the video signal (Matrix I & II). The goal of these phenomenological exercises was to explore the essence of the electronic image and sound. 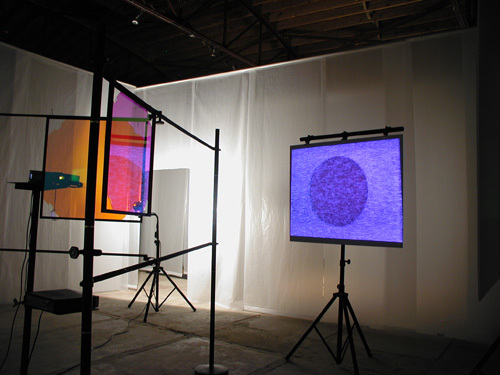 Steina's installations often involved electronically manipulated visual and acoustic landscapes. For example, the installation Orka, shown at Iceland's pavilion at the 1997 Venice Biennale, juxtaposed two transformative natural forces - water and fire - which, in their various manifestations (volcanic eruptions, waterfalls, glaciers), reveal the workings of time. In 1991, she undertook a series of interactive performances with a MIDI violin, which let her generate video images as she played (Violin Power). She performed this piece in analog form from 1971 to 1978. In tandem with Woody, she was awarded the 1992 Maya Deren Prize and, in 1995, the Siemens Media Art prize. 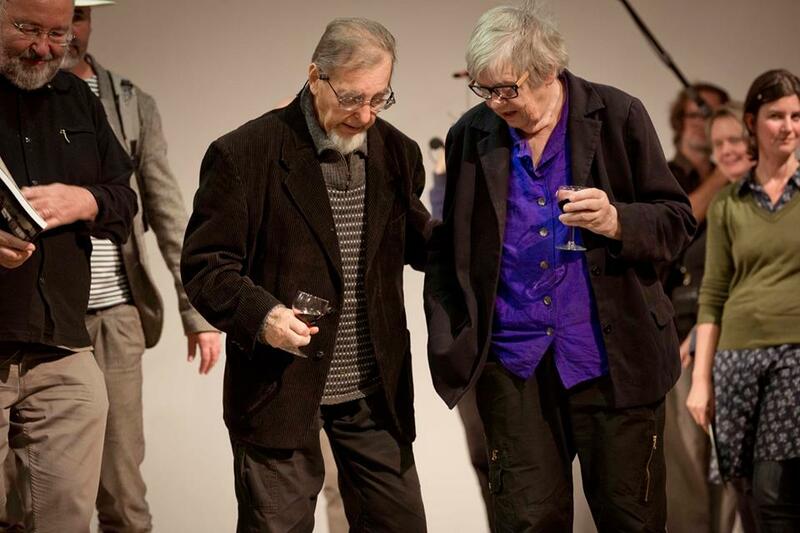 In 1992, with Woody and David Dunn she curated the exhibition and catalogue Eigenwelt der Apparate-welt (Pioneers in Electronic Art) at Ars Electronica in Linz. Her installations and videos have been shown throughout the United States, Europe and Asia. Since 1980, the Vasulkas have been based in Santa Fe, New Mexico. The Kitchen, a curatorial experiment providing one of the first safe-havens for electronic media makers of all sorts, is at the beginning of the rich history of the Vašulkas’ curatorial activities. 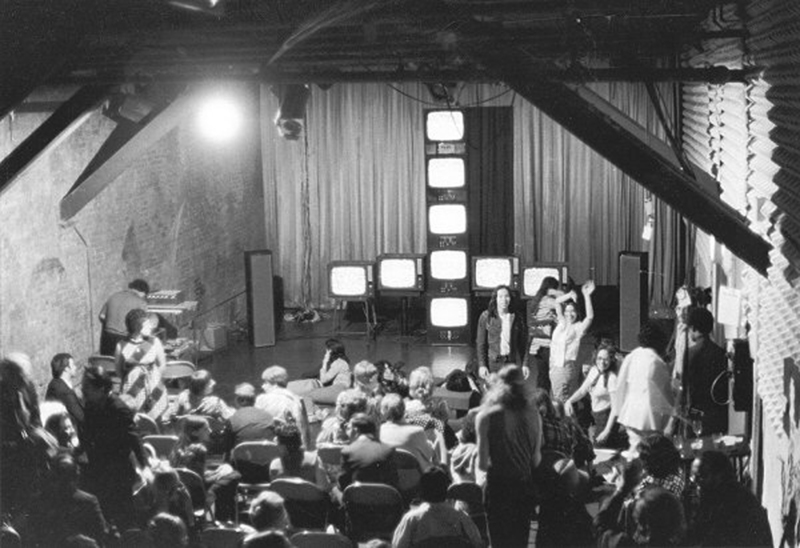 The Kitchen was one of the first places dedicated to video and other art, especially electronic music. 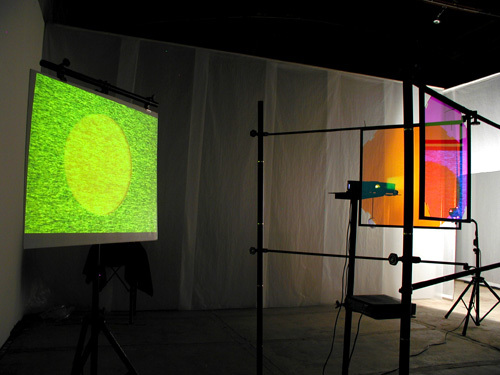 Vaskulkas' aimed to support experiments based on manipulation of electronic signals, devote themselves to the live demonstration of the video and at the same time to emphasize video as a spatial phenomenon, showing tapes on a series of monitors. The Kitchen program also focused on documentary videos, especially in conjunction with the radical marginal genres of popular culture from underground New York theaters and clubs, and featured documentary-activist video production. All of these areas were largely out of focus on the established gallery scene. 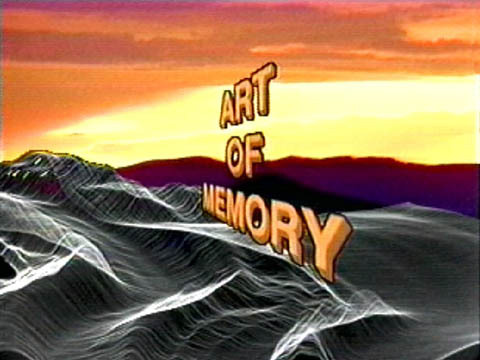 Performers in the early years of The Kitchen have discovered many pioneers in video editing as well as experimental theater, performance and music. There were also training programs, workshops and seminars focused on cybernetics, perception, or biological feedback. Vaskulkas left The Kitchen as early as 1973, but it still exists, although at another address, in the vast area of ​​the former 19th-century ice farm, where it moved in 1985. From a former artistic experiment, it turned into a professionally functioning institution with a gallery and video archive.